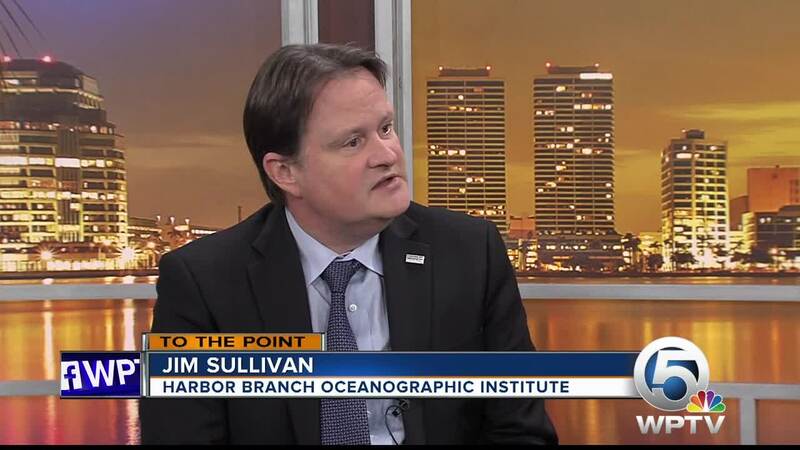 Dr. Jim Sullivan, executive director of Harbor Branch Oceanographic Institute, discusses the algae problems, Lake Okeechobee, coral reefs, and climate change with Michael Williams. Jim Sullivan also said there’s a good chance we’ll have another eruption of algae blooms in Lake Okeechobee this summer. He also said there’s a severe problem with coral reefs being attacked by a disease. He said they’re trying to find what’s causing it and how to treat it. Watch his full interview on To The Point with Michael Williams in the video player above.